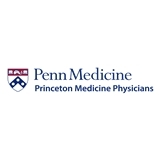 Princeton Medicine - Dayton (Dayton) - Book Appointment Online! This was my first visit to Dr. Azam, and the most satisfying experience I have had at a doctor's office in the USA. Dr. Azam and his team are very pleasant and professional. The doctor took time to listen and note my medical conditions. He was very thorough in examining, and patient in explaining the diagnosis and treatment plans. I have decided to keep Dr. Azam as our family care physician.